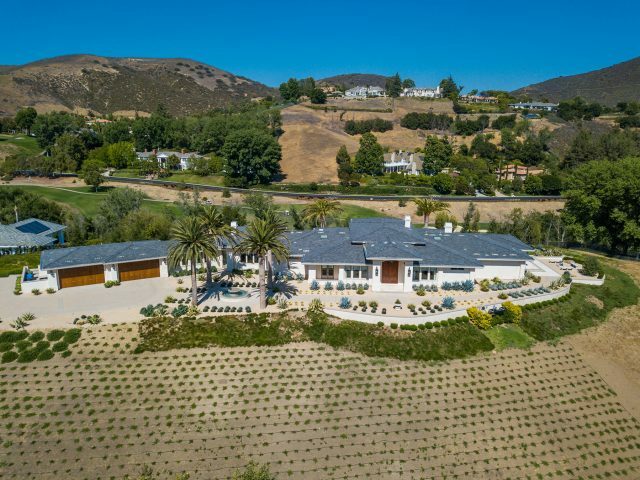 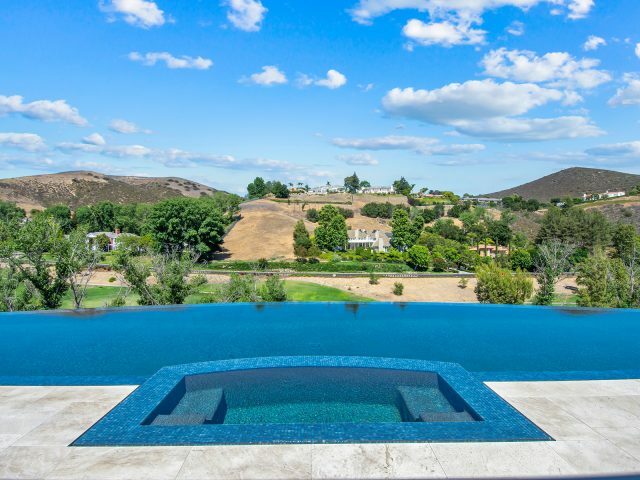 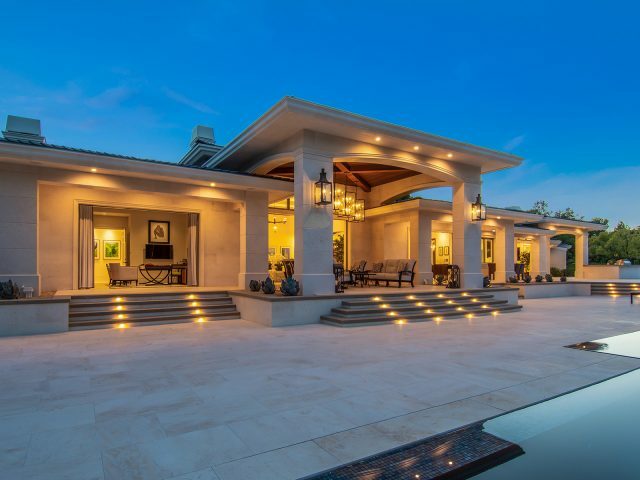 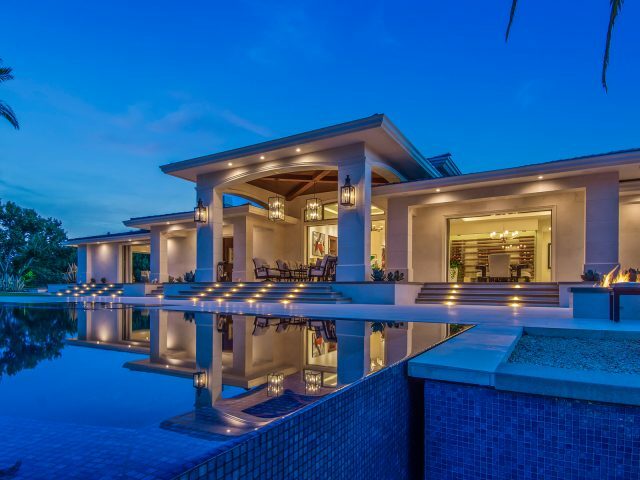 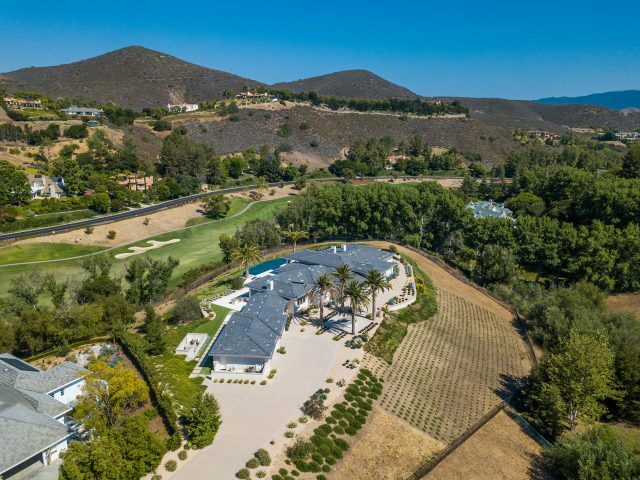 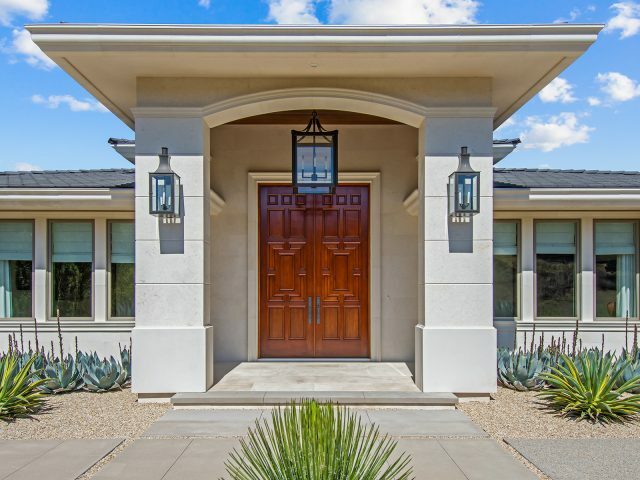 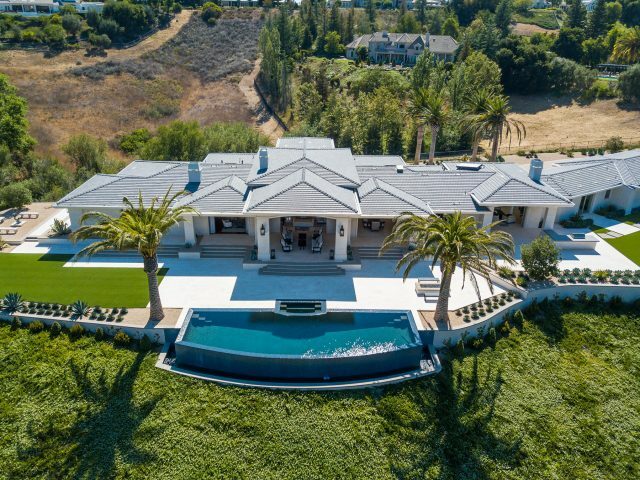 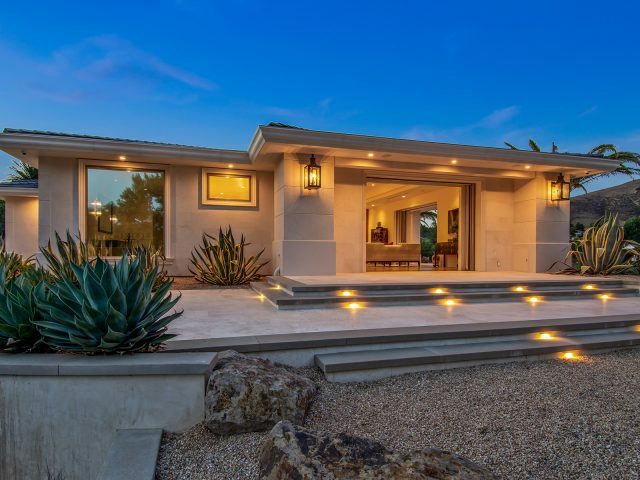 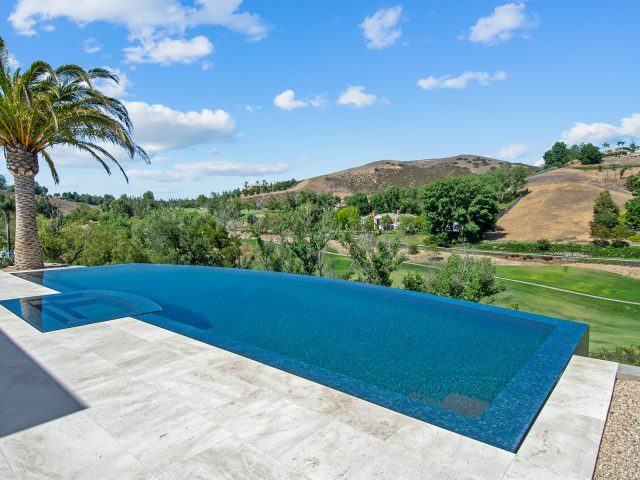 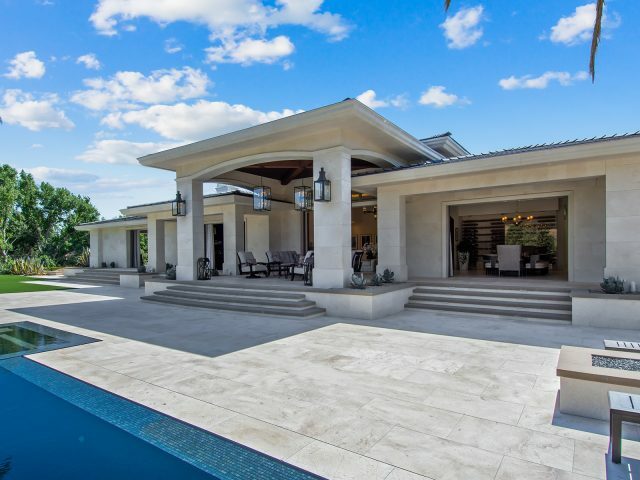 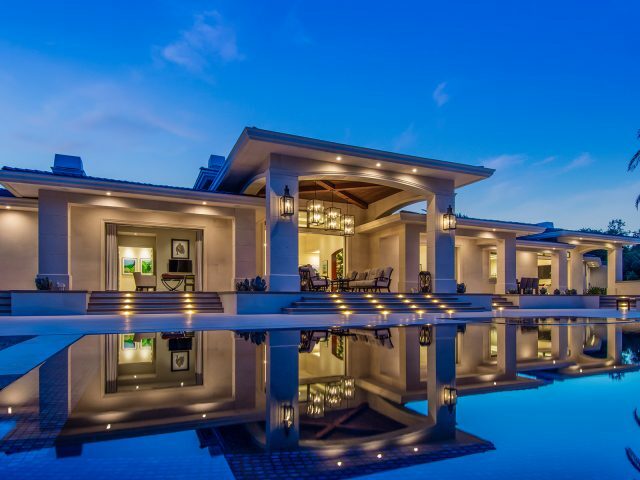 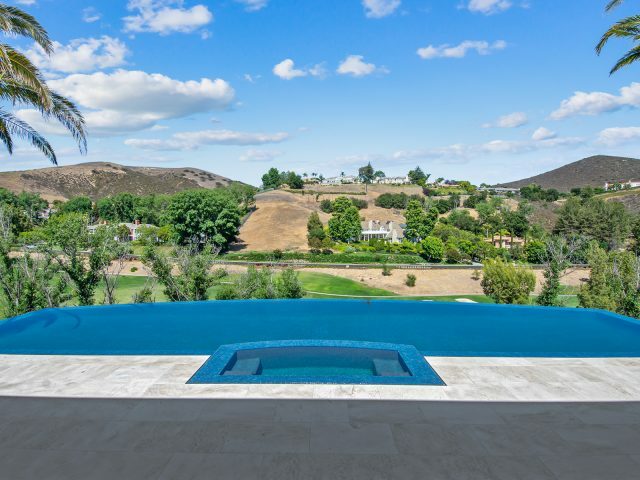 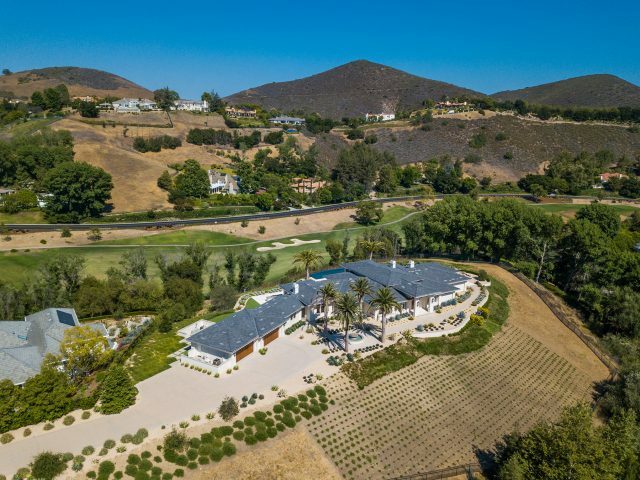 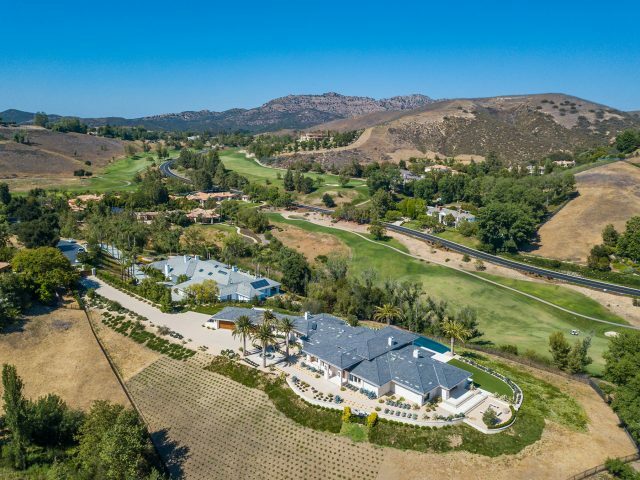 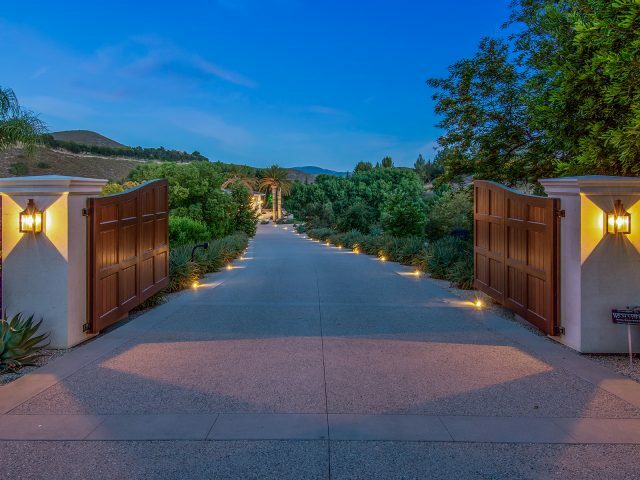 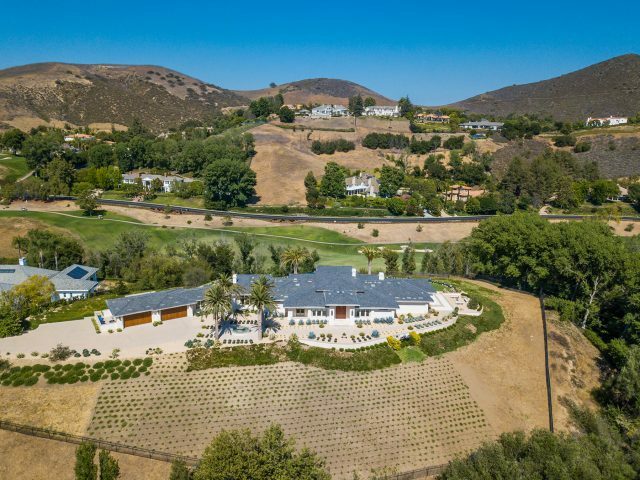 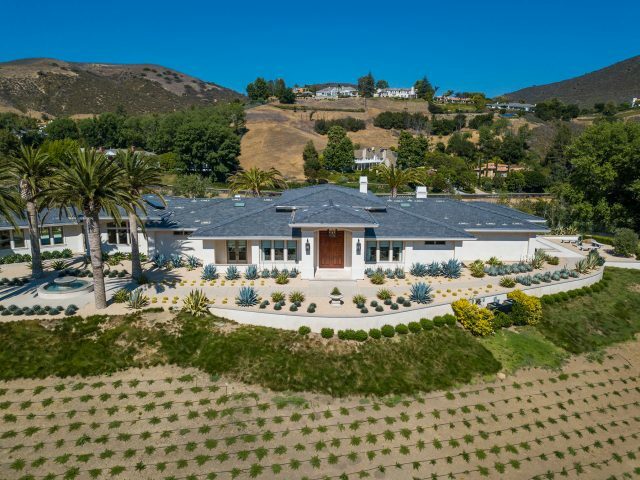 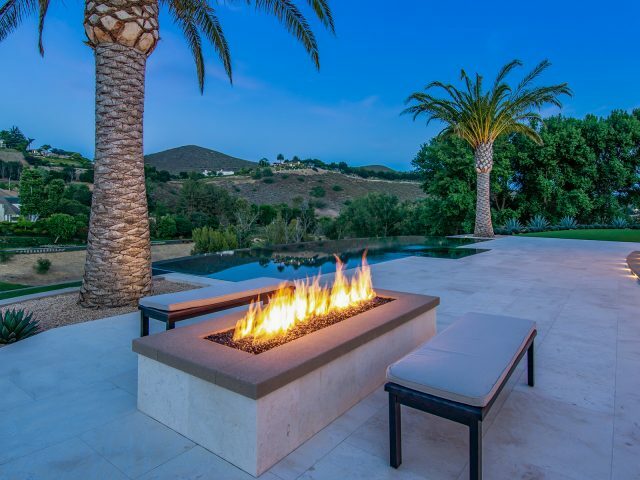 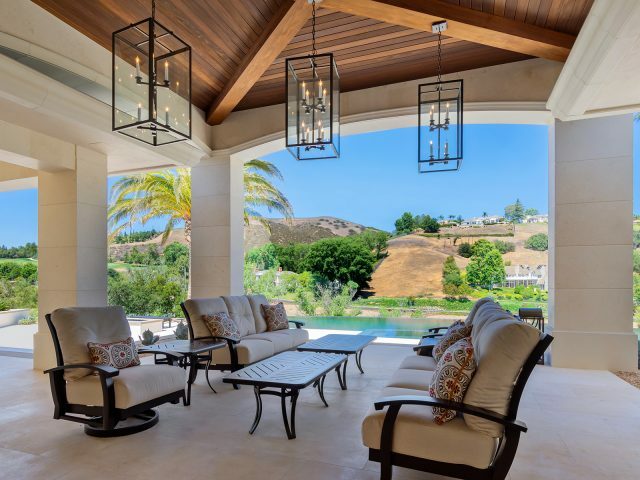 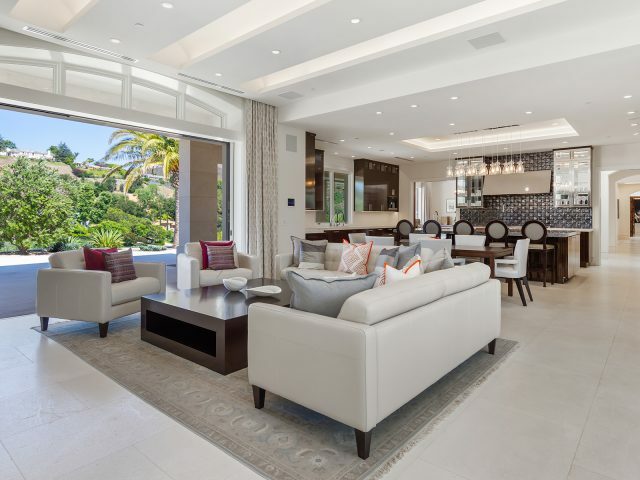 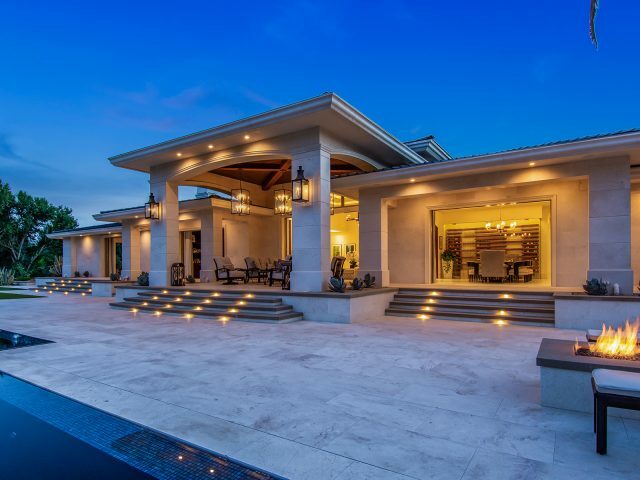 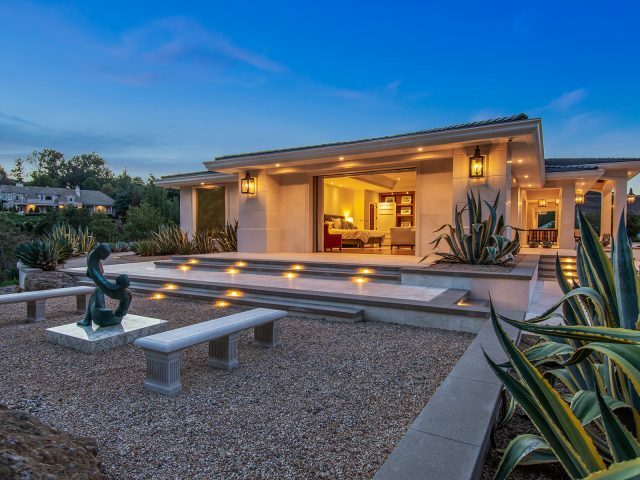 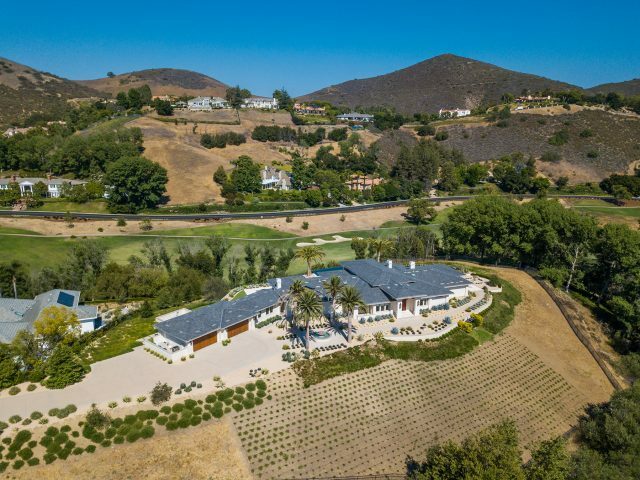 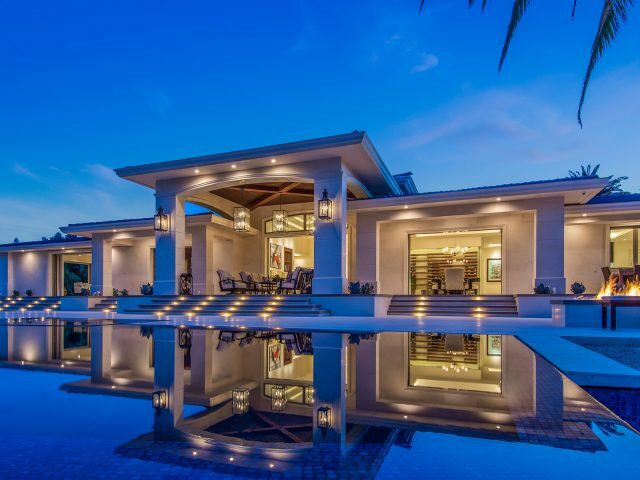 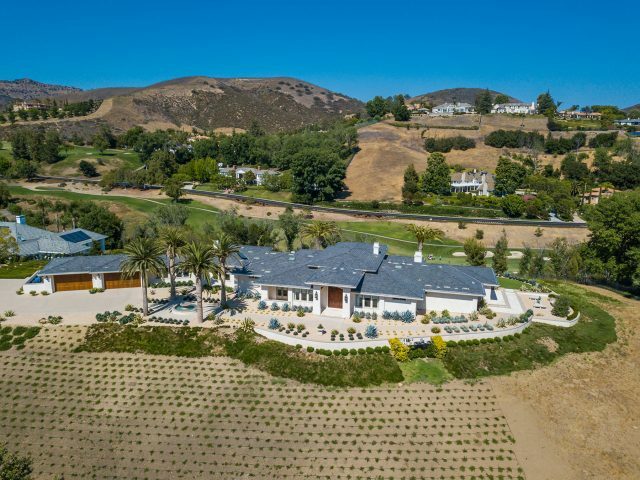 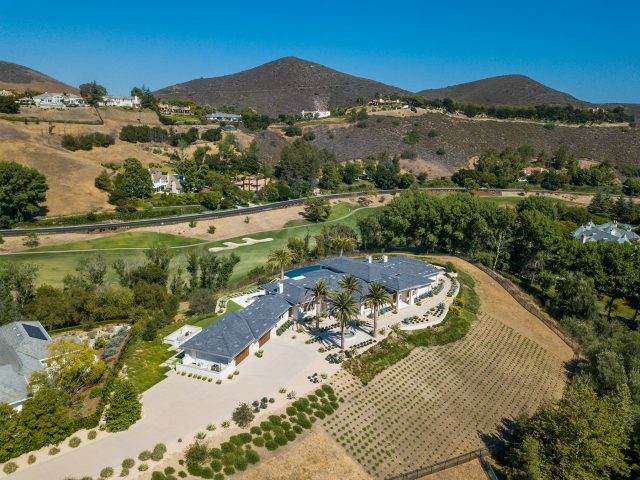 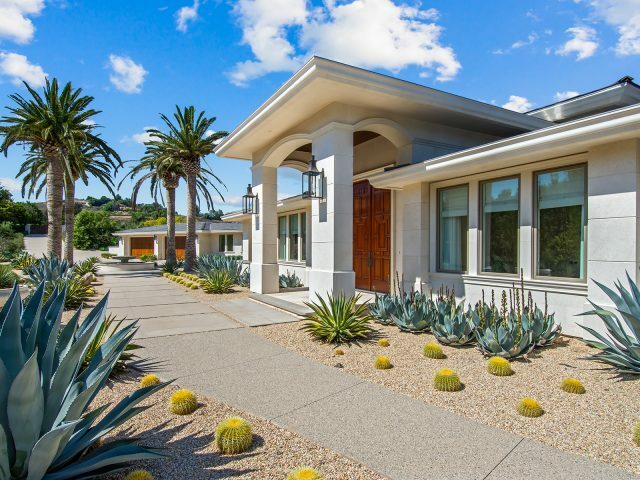 This striking, contemporary view estate is newly designed and decorated for comfort and elegance. 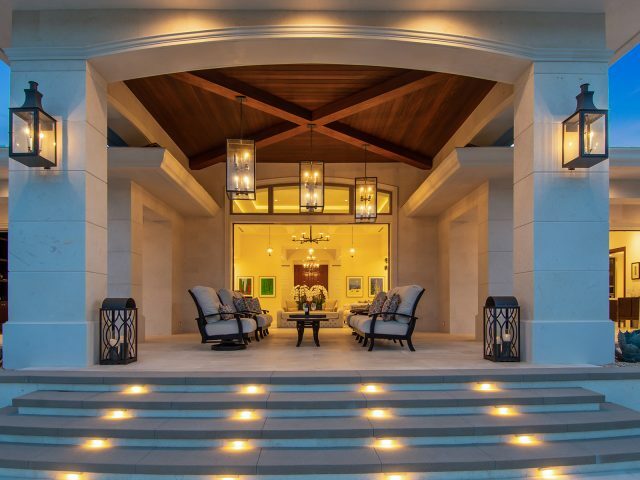 The architectural elements are unsurpassed with unmatched attention to detail. 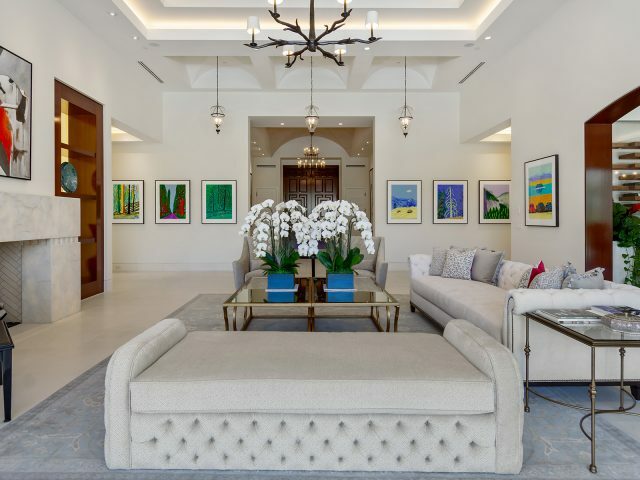 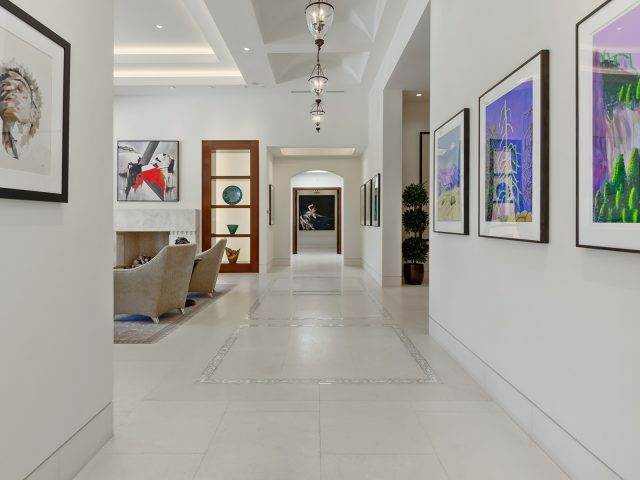 The Art of Living is a sleek and privately gated residence, which was created for stylish entertaining. 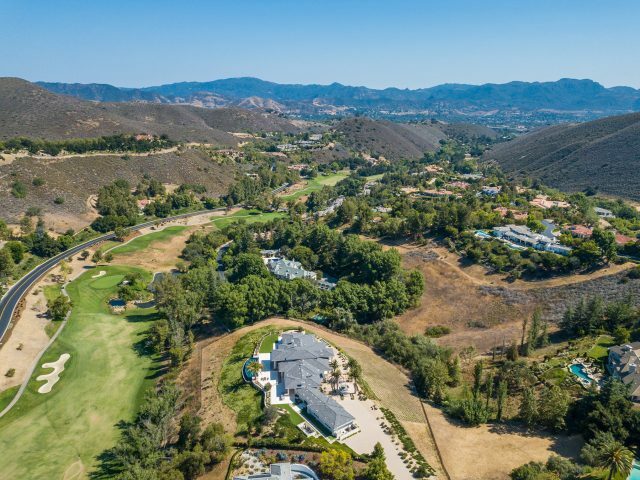 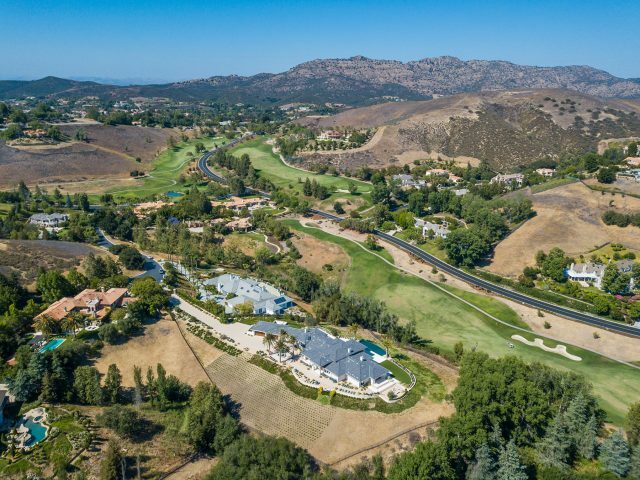 Oak Mirage Place is sited on the Lakes Course, Fairway Two, on a large flat lot in famed Club Estates. 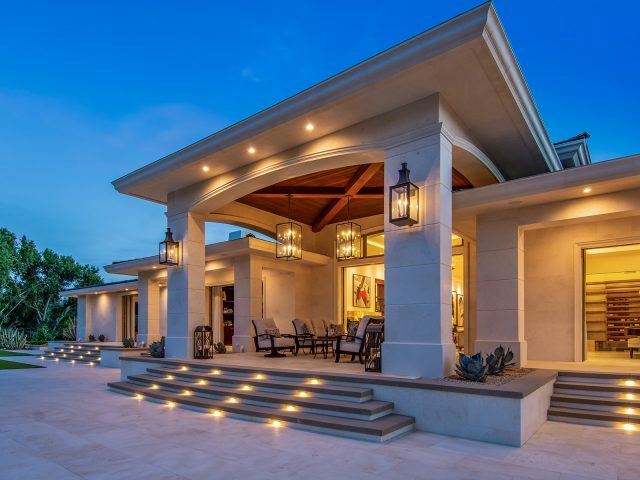 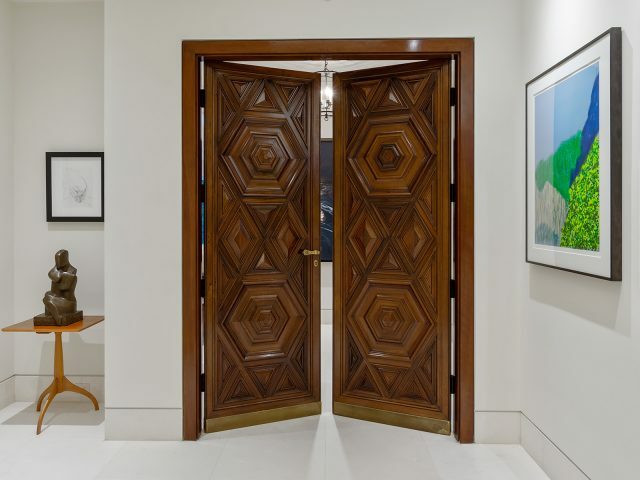 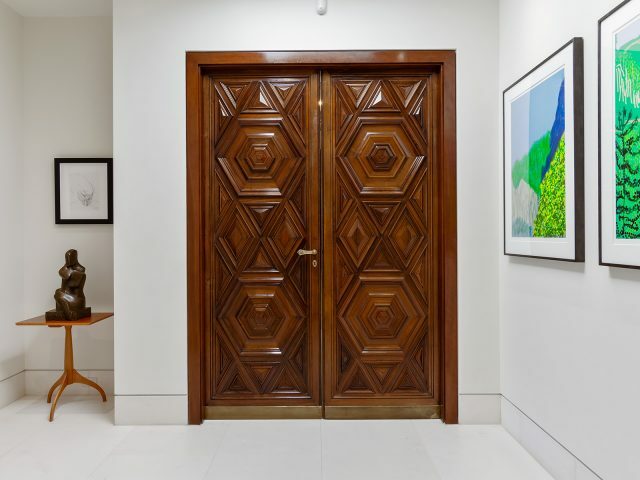 Its handsome exterior is clad with Fossil brushed Jerusalem Limestone and leads to the palatial double door entry and gallery foyer with mosaic groin ceiling. 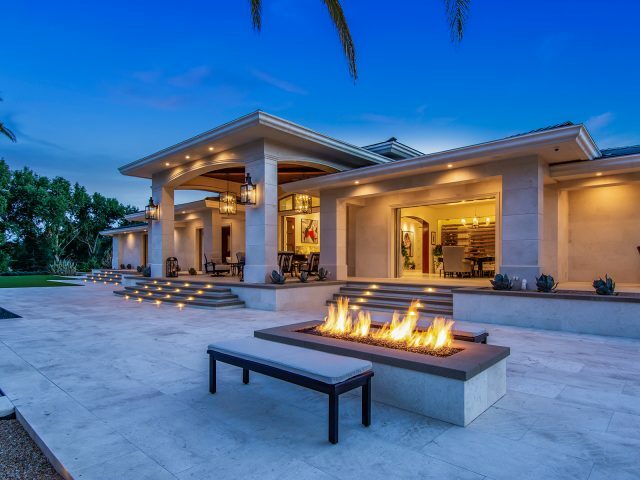 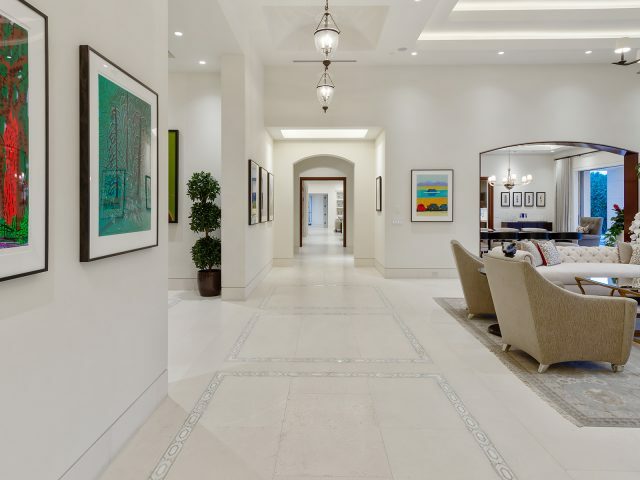 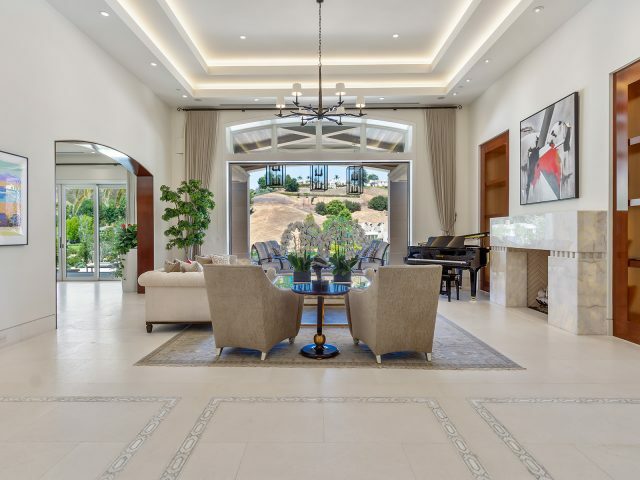 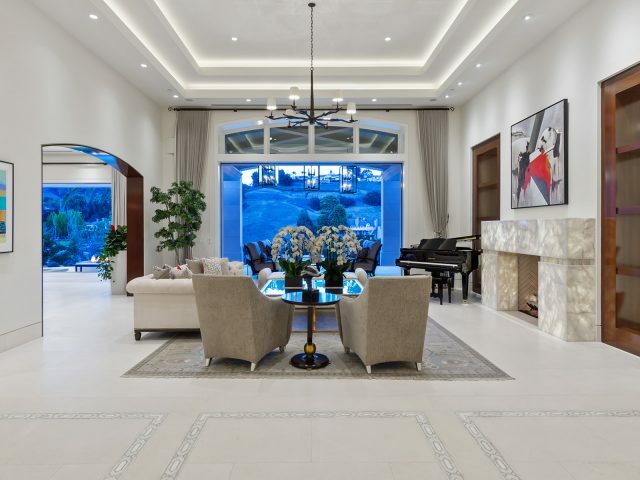 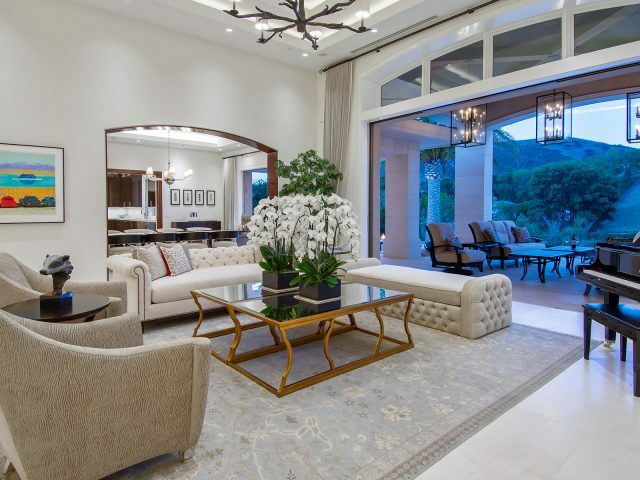 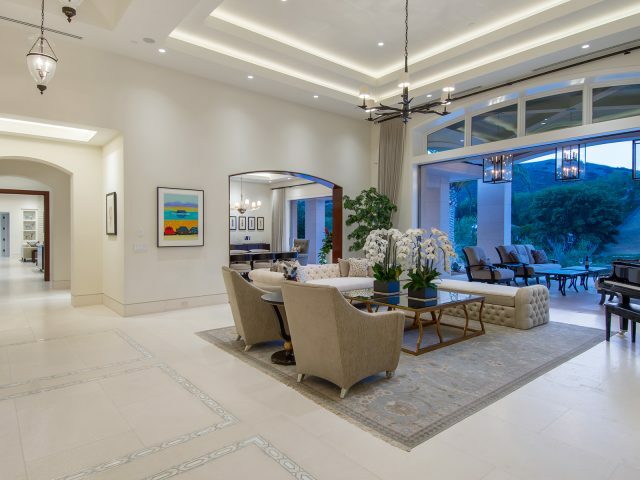 This residence includes an open concept floor plan to include the formal living room with a backlit Onyx fireplace adorned by backlit display cases. 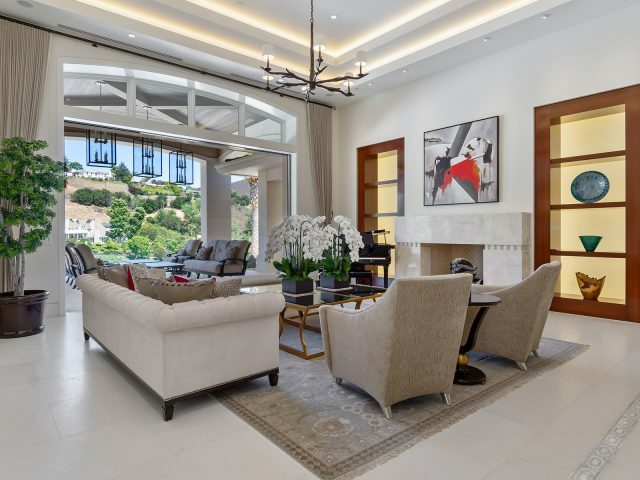 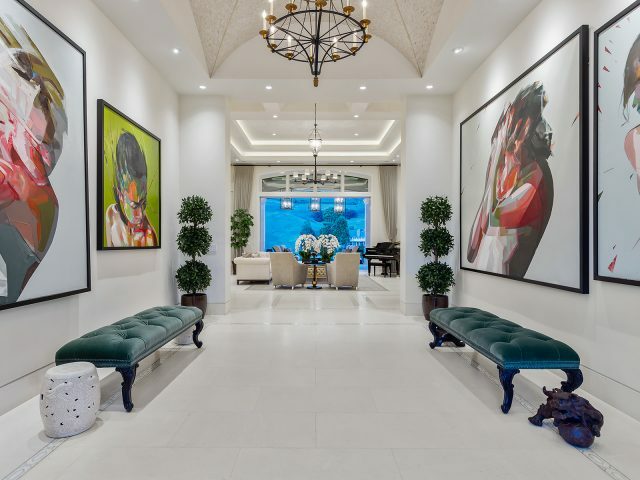 The living room opens to the dramatic entertaining balcony, a formal dining room with a 350 bottle wine wall, a yoga studio, a library and a dramatic chef’s dream kitchen. 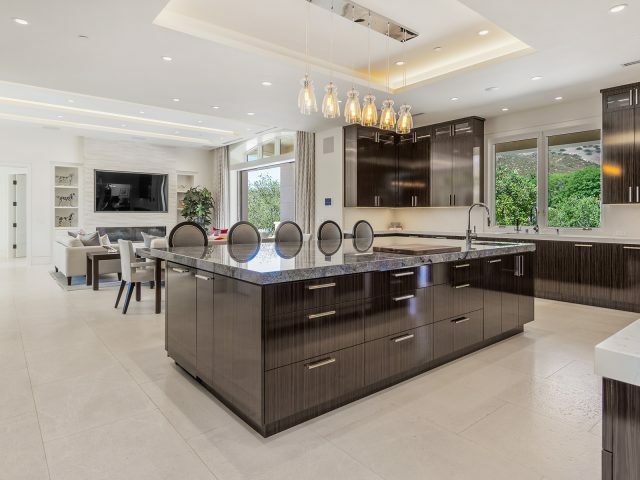 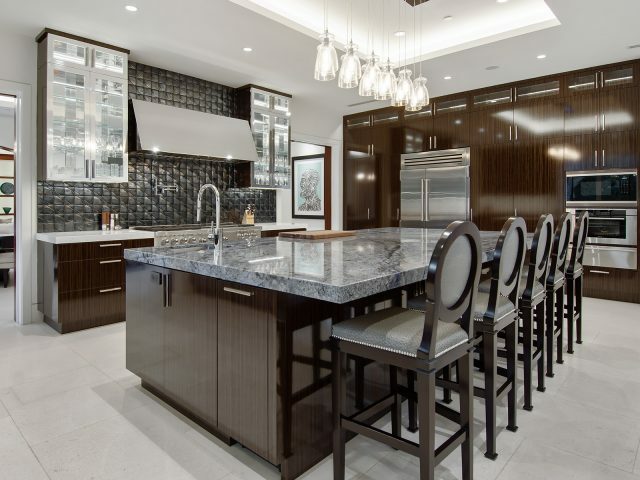 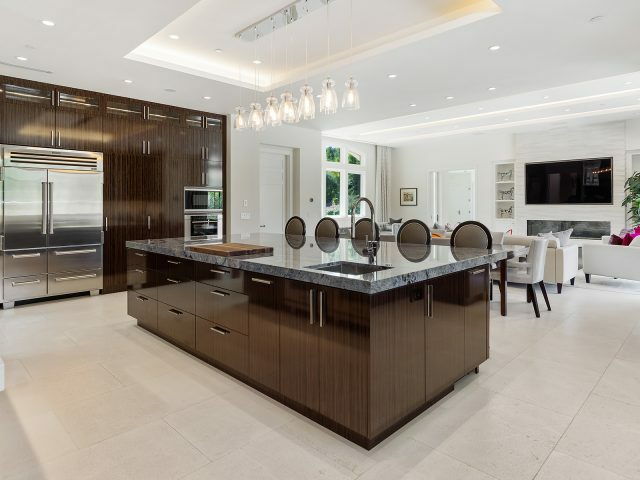 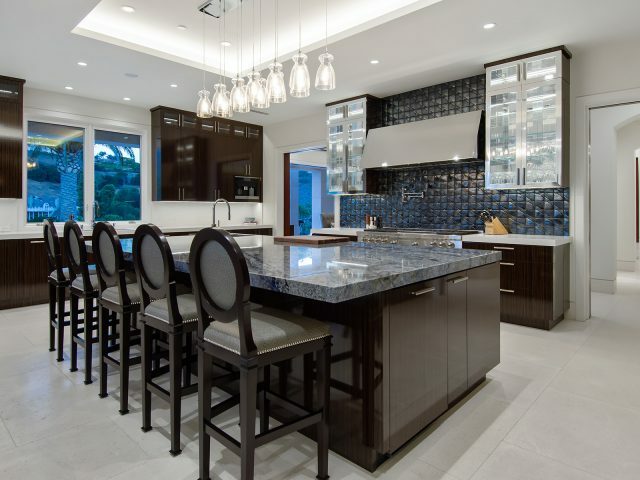 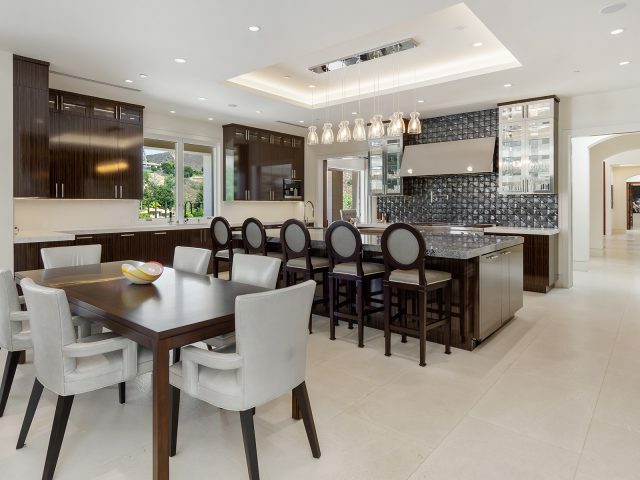 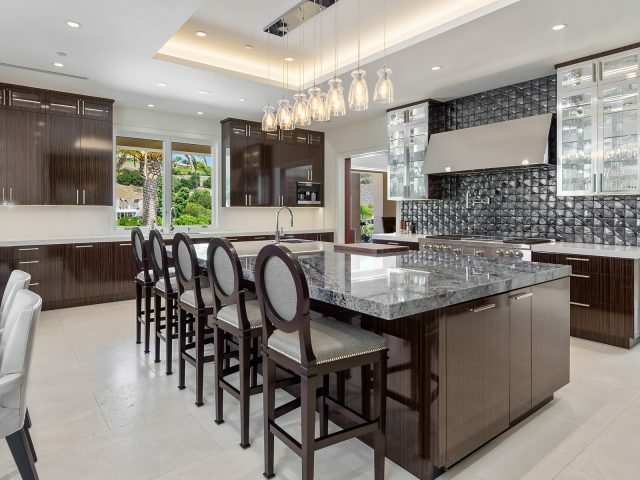 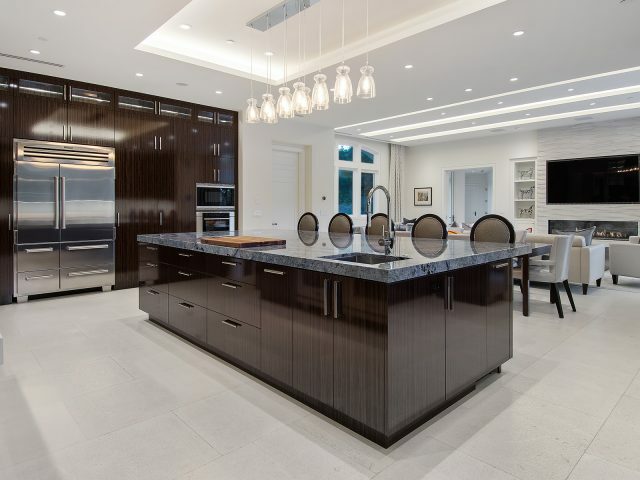 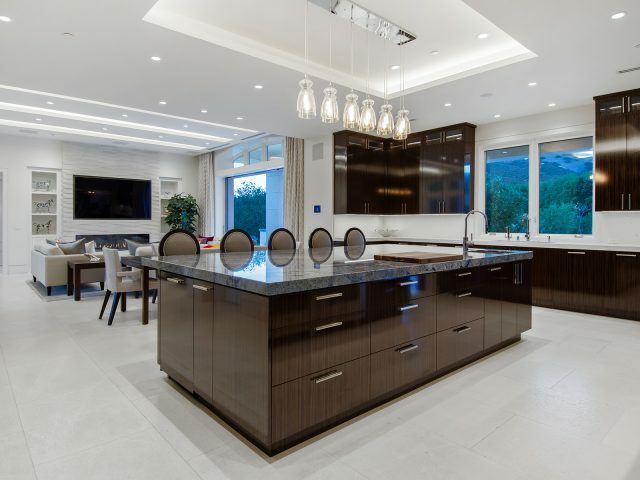 The kitchen features a glass backsplash on the stove wall, an elegantly oversized Brazilian blue marble island, 3 ovens, warming drawers, 2 Miele dishwashers, Miele coffee system, interior cabinets constructed with solid Maple inserts and a commercial Wolf range with induction grill. 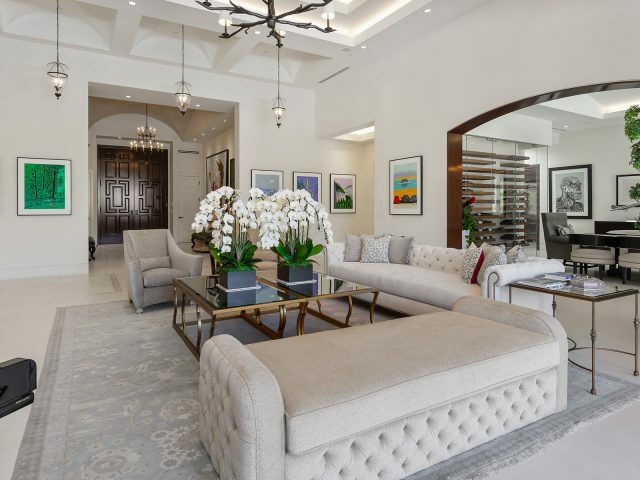 Enter the spacious 5 Star master suite through magnificent antique doors, Herringbone walnut floors, and a walk-in closet with Piano finished cabinetry and display cases. 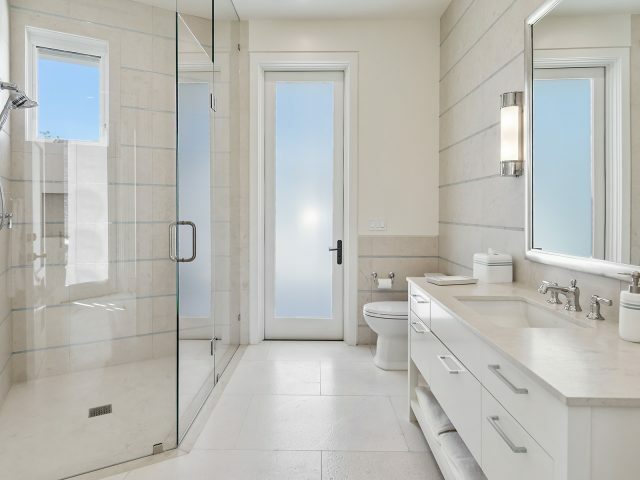 The suite opens to your own Zen-like garden. 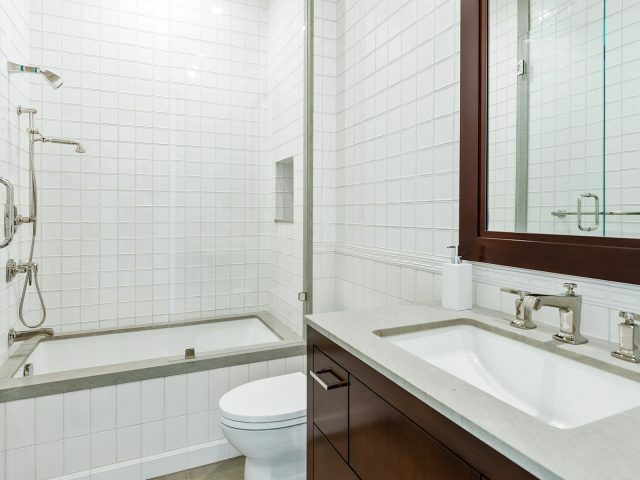 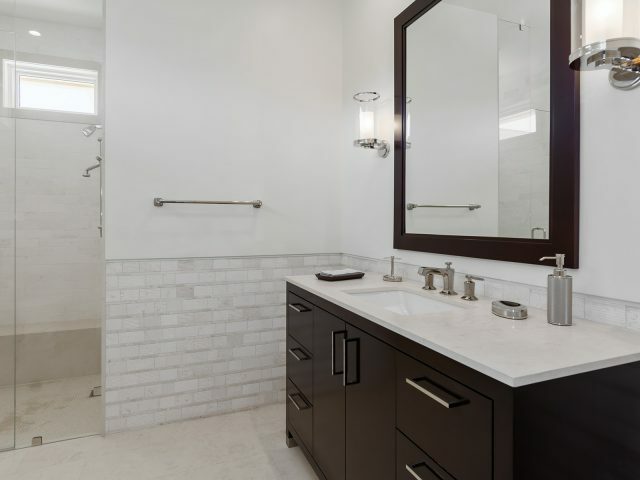 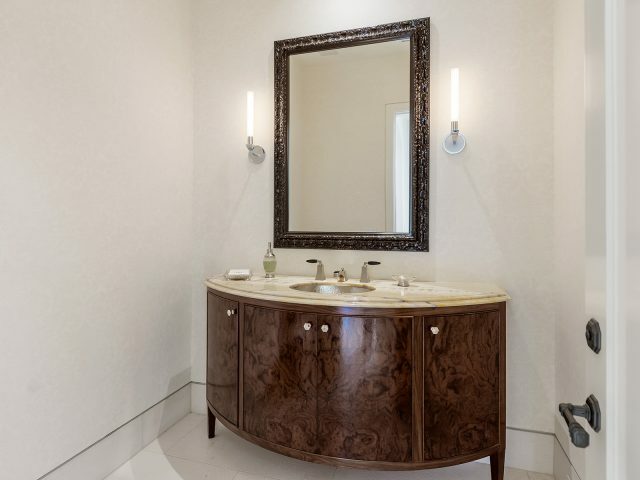 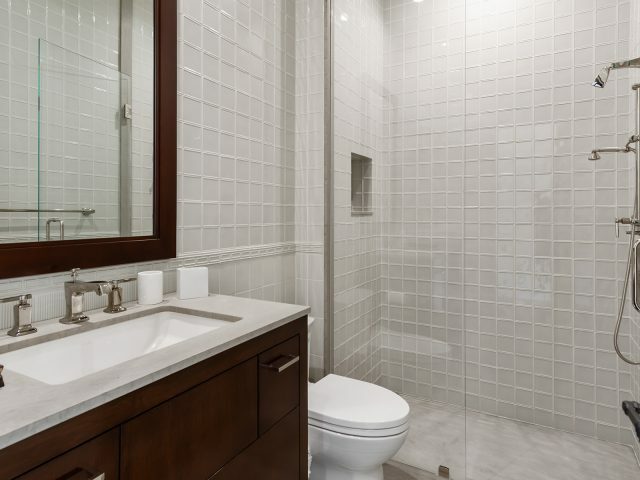 A sumptuous spa-like master bath enjoys inlaid mosaic stone and heated floors. 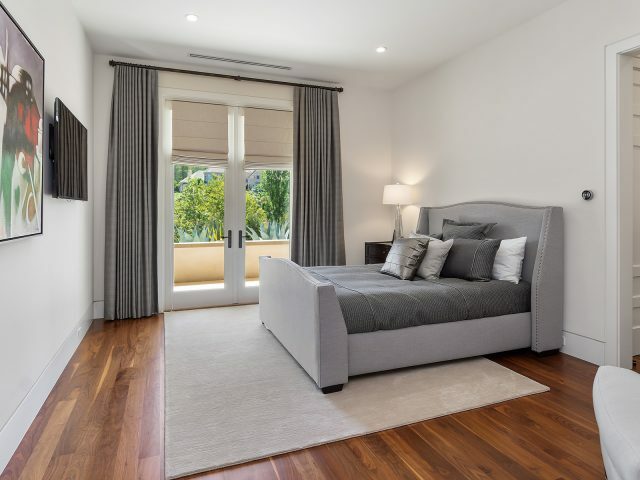 Three additional en-suite bedrooms are adorned with walnut floors. 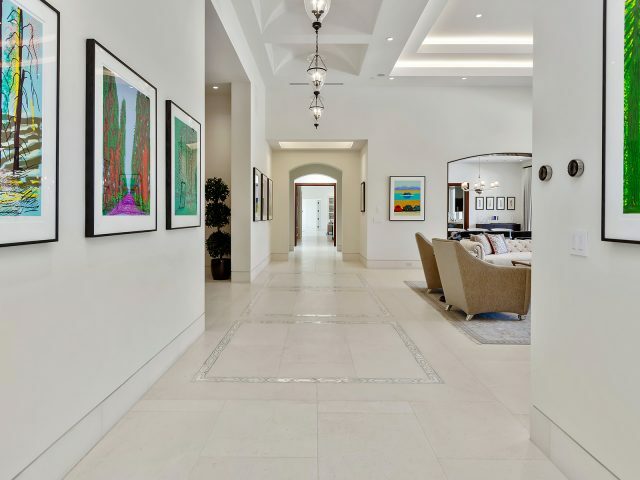 Some unique features are the Capri Limestone floors in the public rooms with in-floor heating, both in floor and forced air systems with NES controls, three fireplaces which warm the home, stone baseboards, pocketing walls of glass, lustrous finishes, gorgeous Groin recessed ceiling detail throughout, generously proportioned rooms, a solar water system, an automated Smart House, interior and exterior music control and back up natural gas generator. 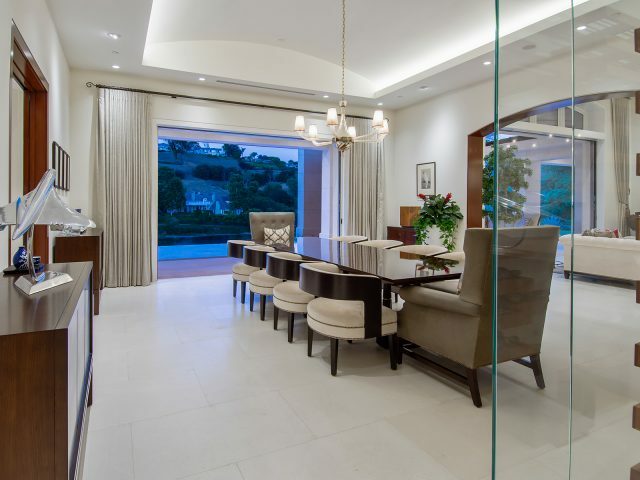 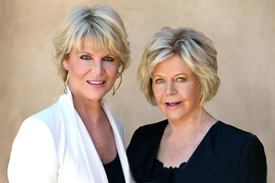 All of these features offer serene interior spaces which evoke supreme sophistication fit for the selective buyer. 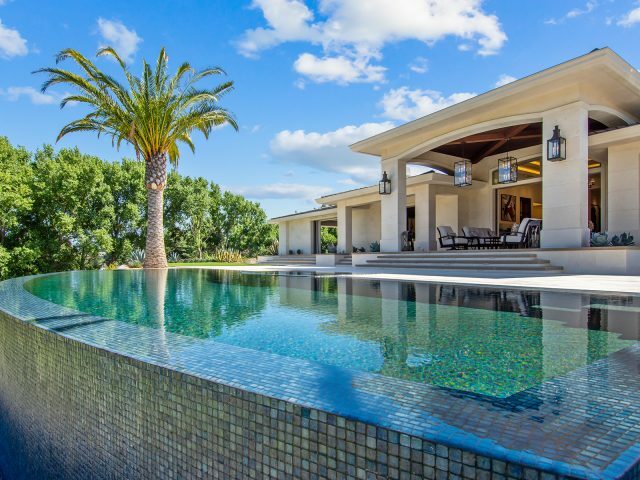 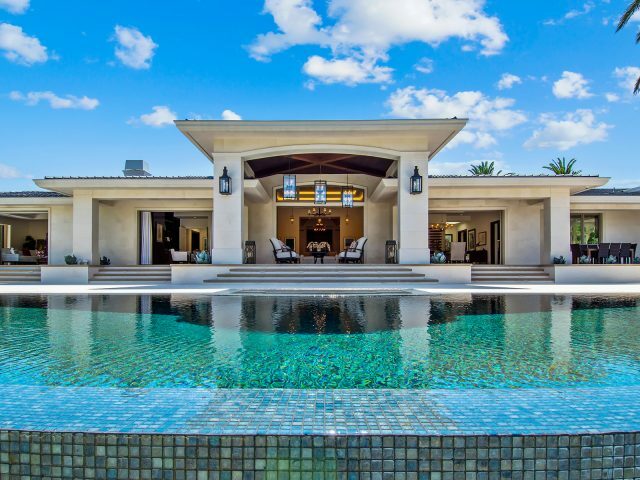 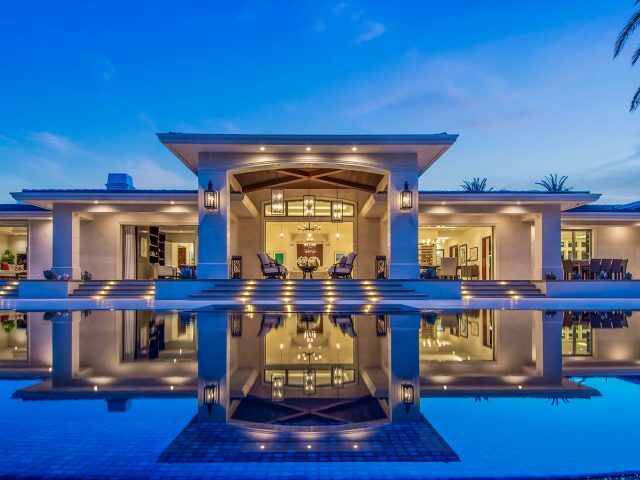 The serene backyard offers a private resort style yard with marble patio areas and a zero-edge infinity pool and spa, all with breathtaking views. 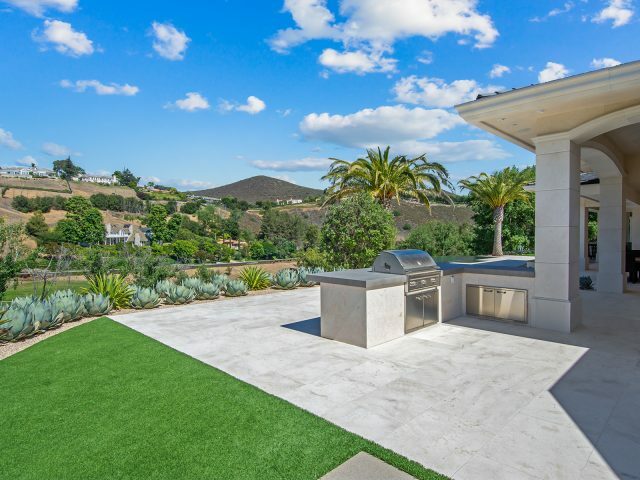 There is plenty of room for outdoor entertaining with the Lynx BBQ center and Dekton counters designed for sophisticated outdoor entertaining. 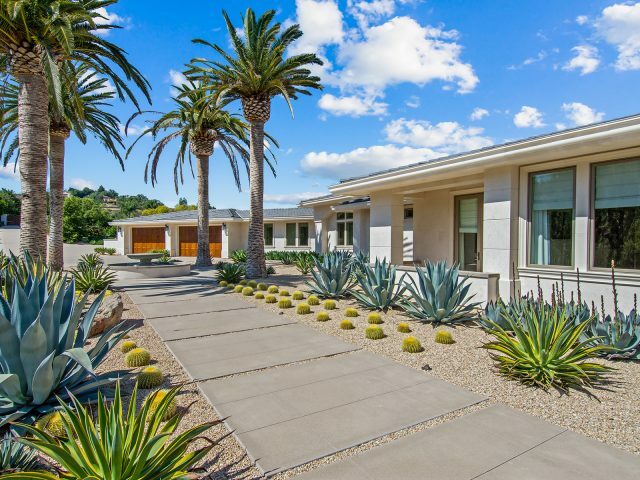 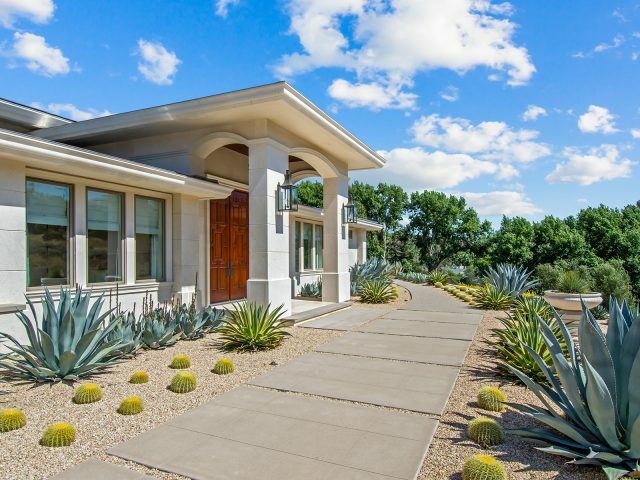 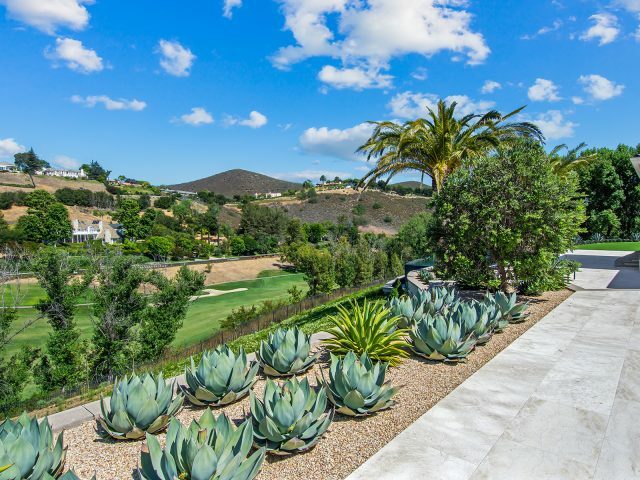 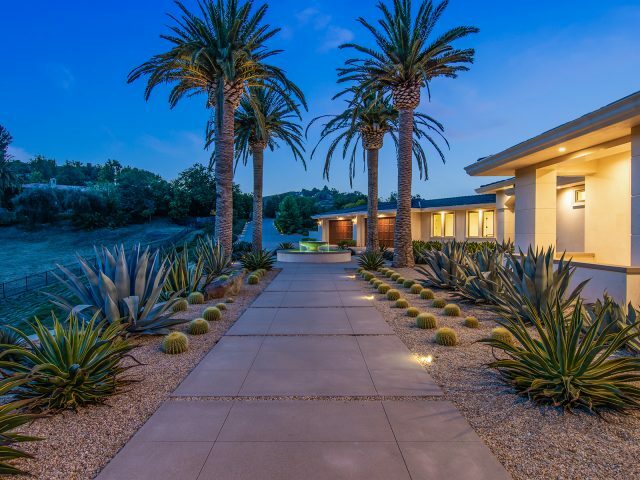 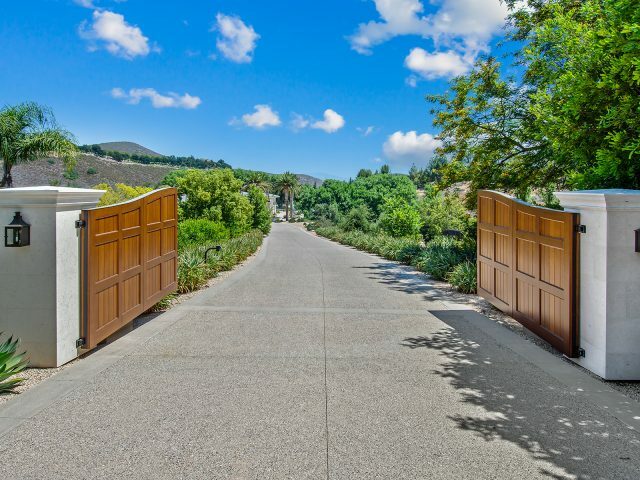 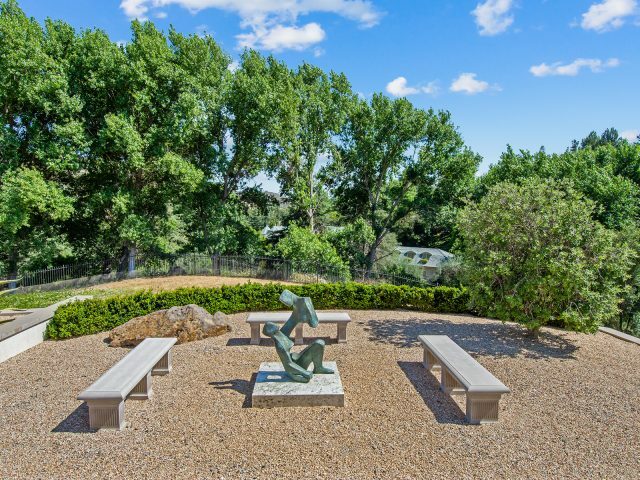 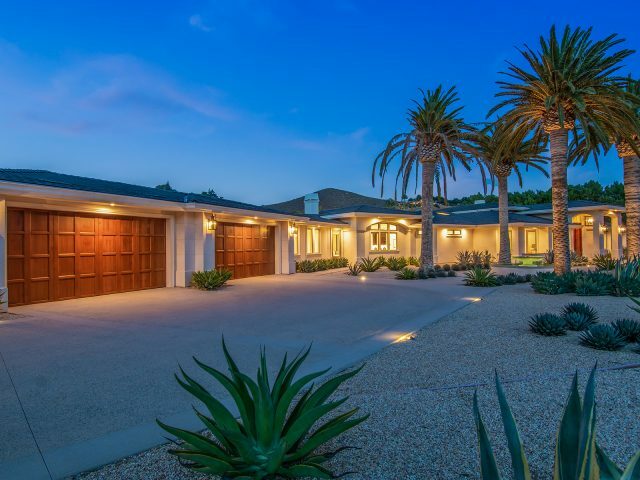 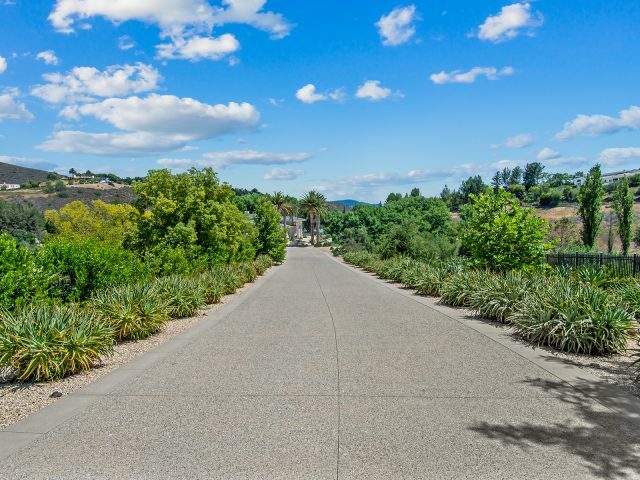 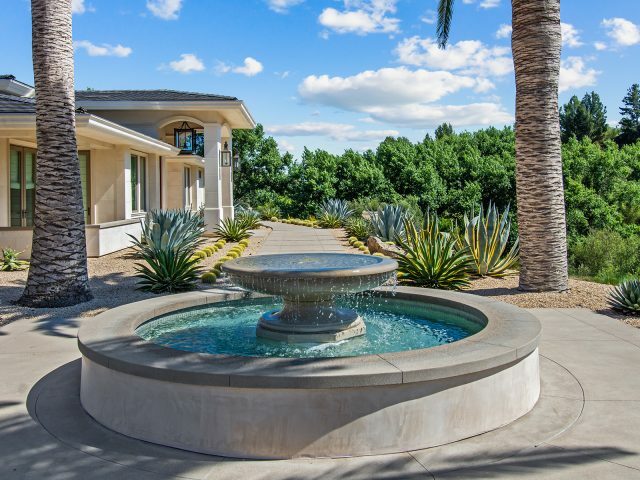 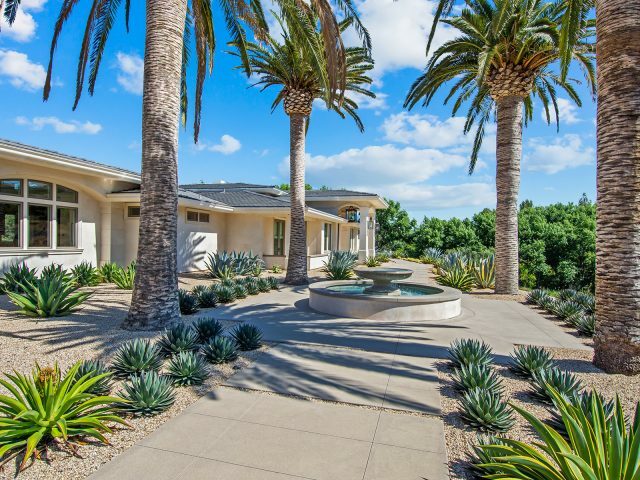 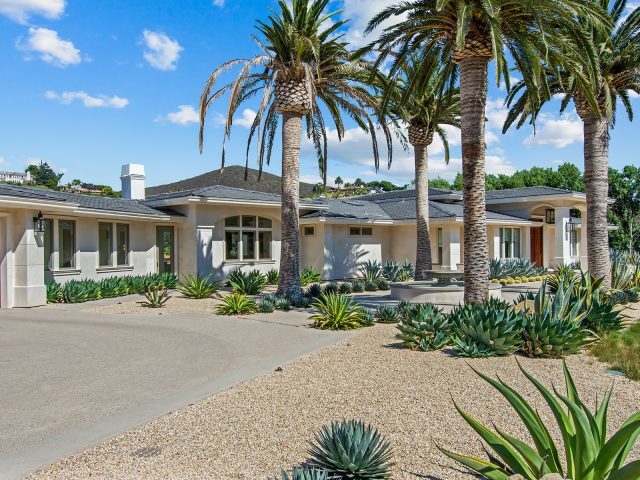 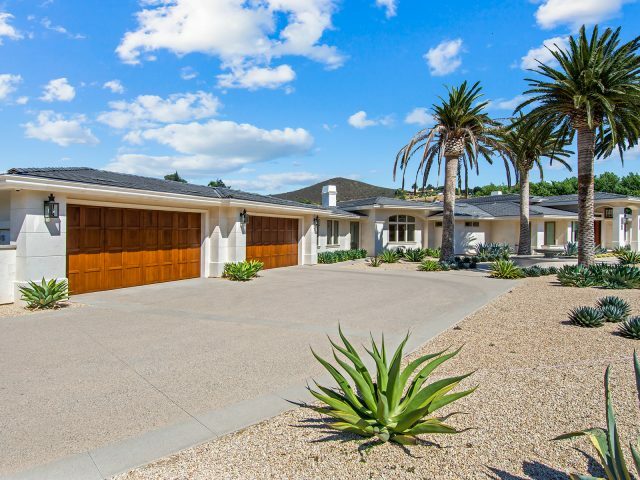 The lushly landscaped yard features mostly drought-resistant plantings. 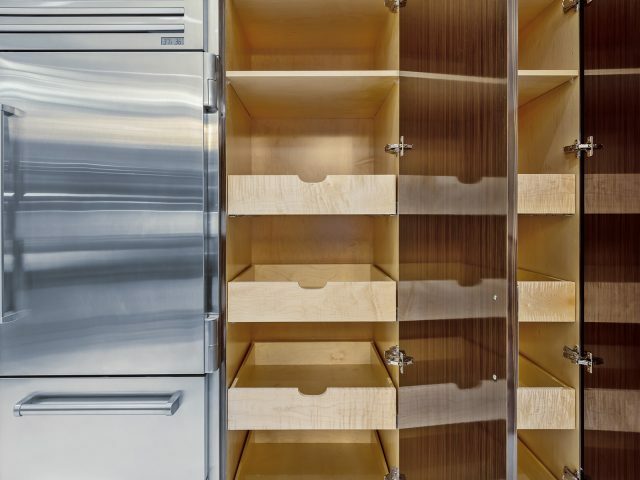 The over-sized, 28 ft. deep 4 car garage has built-ins and wrapped cabinetry. 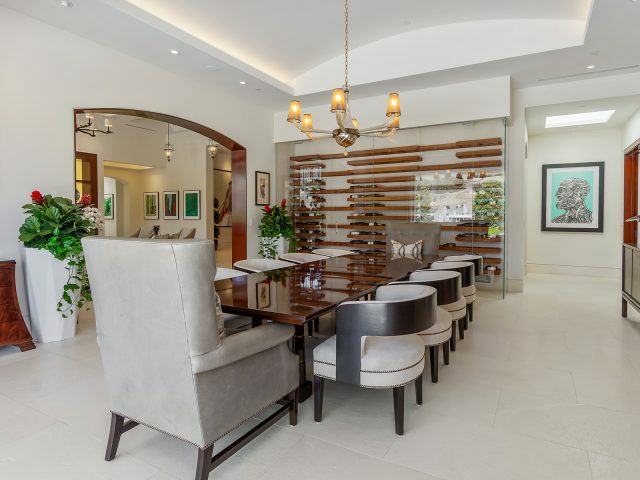 This is a home that transcends all others and is a seamless modern layout for daily living with unsurpassed quality and sophisticated entertaining.